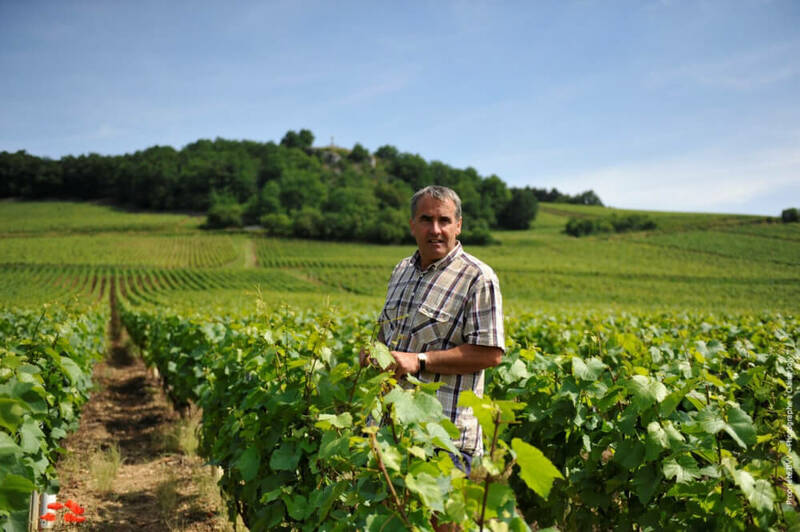 Givry – Denis Valdenaire has run this 15-hectare domaine since the 2000 vintage. He took over the estate from his wife’s (Edith) father. Denis had already been working at this family domaine since 1987, though. He now has over 30 years experience with these wines. Denis is an outdoorsman, lover of sports, and a former ski instructor. He is continually refining his grape growing and wine making skills. He’s part of a local group that studies and experiments with the local “terroir” (soil and related environmental aspects) with a view to reducing the phytosanitary products in a reasoned manner. In fact, the domaine received the official “Reasoned Agriculture” certification years ago. Denis takes great care and diligence to protect the precious ground he and Edith have inherited. His wines show a sense of place with the natural fruitiness of the Cote Chalonnaise. His judicious use of French oak enhances the flavor of these wines in a way that does not mask their other qualities. These are some delicious and value-oriented wines that will give you hours of pleasure. Please call us to learn more about our Chofflet-Valdenaire Wines and their availability.